The Norrona Falketind Gore-Tex Jacket Men is their most versatile all-season waterproof and breathable jacket. Light enough for summer use and durable enough for winter use, the Norrona Falketind Gore-Tex Jacket Men Made is made of a specially developed GORE-TEX® 3-Layer fabric with a comfortable, slightly brushed backer. The jacket features a helmet-compatible storm hood for full weather protection when worn with a helmet, long underarm vents for heat dumping, easily-accessible above harness/backpack pockets, and a designated pocket on the inside of the jacket to protect a phone from moisture damage. 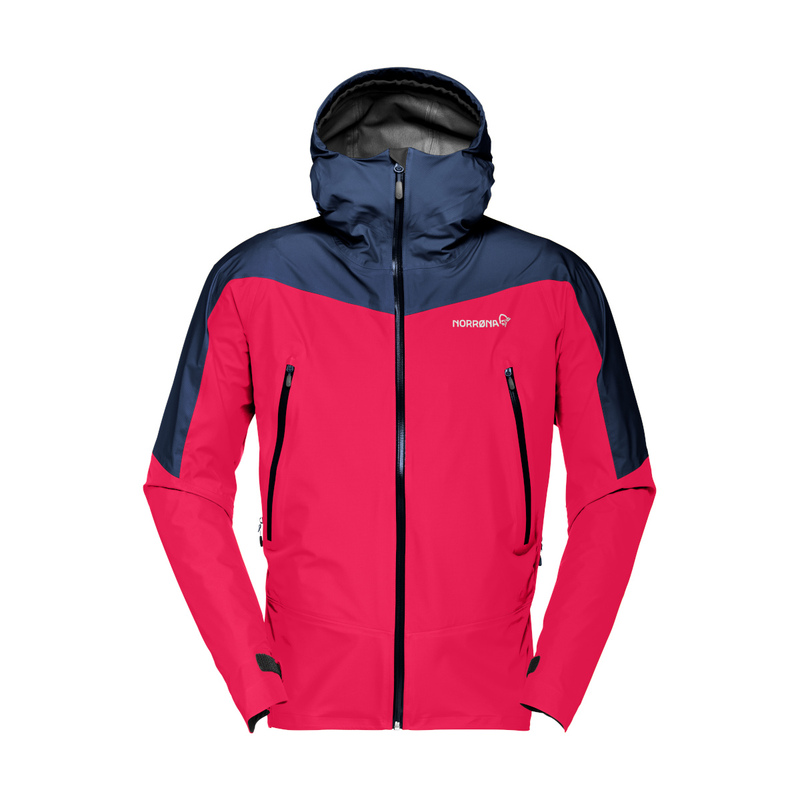 A jacket that will perform in both summer and winter conditions, the Norrona Falketind Gore-Tex Jacket Men is adaptable and multifaceted for the all-purpose mountaineer and climber. This jacket is perfect to go up on the mountain! I’m going to use it especially to go splitboarding. So I have my backpack and helmet with me and that works great with this jacket! Besides this, the delivery was super fast!